Over the next couple weeks, What to Expect This Season will go across Canada from West to East examining the Canadian teams in the NHL, detailing the organizational changes made during the offseason and forecasting what the coming season will bring. 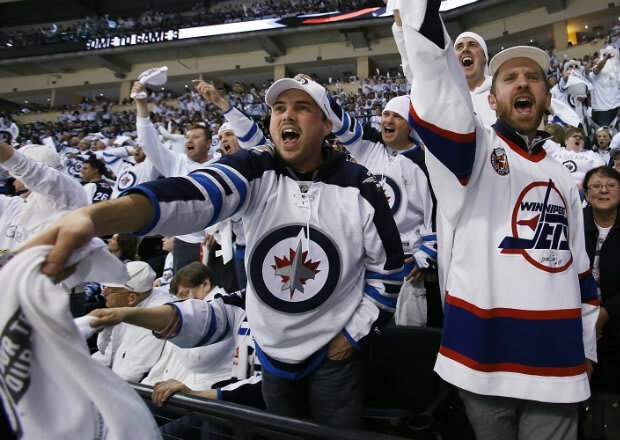 After making stops in Vancouver, Calgary and Edmonton, our traveling caravan across Canada blows into Winnipeg for a quick look at the Jets as they head into the 2015-16 season. Last year, Paul Maurice’s team finished seventh in the Western Conference, registering a 43-26-13 mark, good for 99 points and a first-round sweep at the hands of the Anaheim Ducks, the kind of exit that you would think might make a team want to make a few changes in the offseason. You would think that, but it wouldn’t be true. To be fair to the Jets, they made their big move in the middle of last year, shipping Evander Kane (and others) to Buffalo for Tyler Myers, Drew Stafford and a couple of the prospects listed above. Having said that, this team is a colossal question mark for me heading into this year. On the one hand, they played well last season, have some solid talent and could take another step up in the Western Conference standings this coming season. On the other hand, an serious injury, a couple guys starting to decline and middling goaltender could have these guys slipping behind a couple of the teams that could move up a notch or two out west as well. Right now, I’m not sure which is more likely. For me, it’s a coin-flip and one of the question marks heading into the season that I’m most curious to figure out because I actually like some of the pieces assembled in Winnipeg. What’s troubling (read: probably going to be the Jets’ downfall) is that there are no major offensive contributors on this team. Kane was the best pure goal scorer on this squad, but he’s long gone and while they have seven players that registered 10+ goals last season coming back, Blake Wheeler is the only one that topped 25 (by one) and banking on Mathieu Perreault to collect 18 goals again might be asking too much. Now, adding youngsters like Armia, Ehlers and Lemieux into the mix could give the Jets a few more youngsters that can generate offense, but none of them fall in the serious “impact rookie” category reserved for guys like Connor McDavid and Jack Eichel or even some of the quality first-year players that have scored in 15-25 goals in their first season in recent years. The Jets just feel like a team that has already reached their peak with this group – we know what to expect from Andrew Lad, Bryan Little and Blake Wheeler up front and you can pencil in Dustin Byfuglien’s production. Mark Scheifele could take a step forward and Tyler Myers and Jacob Trouba are a great two-piece on the back end, but how much better can you reasonable project this collection to get? They’ll be in the mix for a playoff spot (and another first-round exit), but I don’t see them getting in. Calgary will be better, Dallas and Los Angeles could rebound and Colorado has more youthful potential than the Jets, and they were all behind Winnipeg last season. Regardless, it’s still great to have a team back in The ‘Peg, putting up great attendance numbers and continuing to prove that Gary Bettman is an idiot.